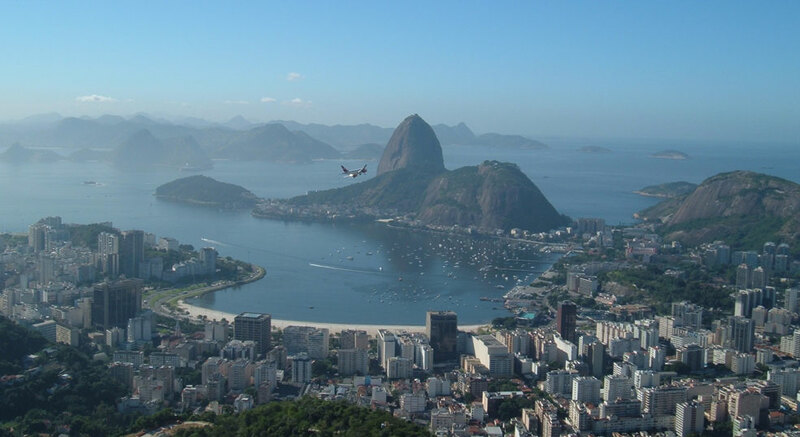 Inge's arrival gave us a chance to see the tourist sights of Rio. 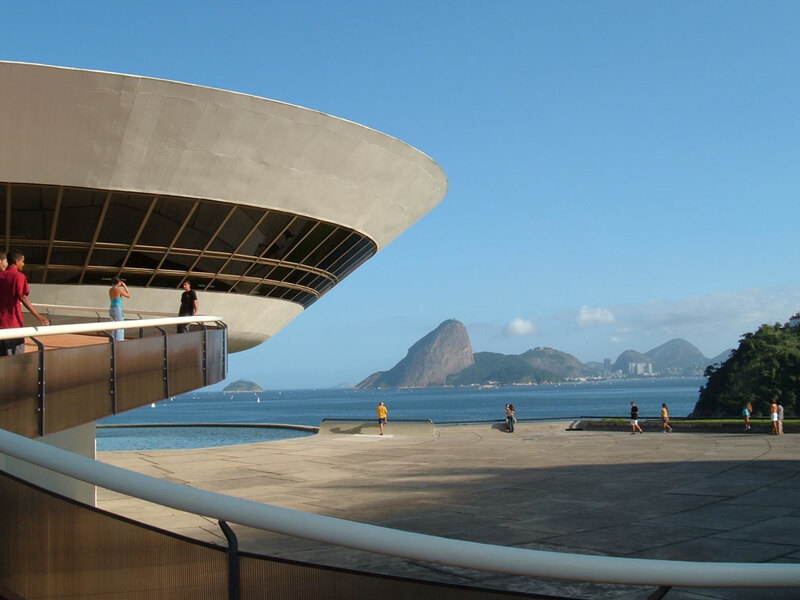 The museum of modern art on the Niteroi side of the harbour is the creation of Oscar Niemeyer, the architect of the country's capital, Brasilia. The museum's dramatic location and the way it complements the scenery of the harbour tempted Vicky into a series of 'arty' photos. We took the tip from some French cruising acquaintances that the best way to see the major sights was to hire a taxi for the day. The bad news was that the driver available spoke only Portuguese and French. The good news was that with Inge along we had an interpreter to supplement our lamentable French. Whatever the communication challenges, we had a wonderful tour. 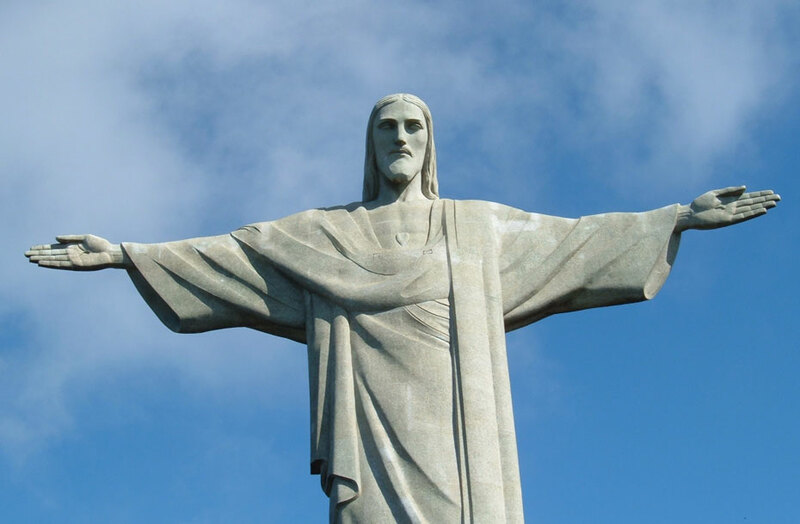 Not only did we visit Corcovado, with its huge statue of Christ, and the striking Pao de Azucar, which guards the entrance to the harbour, we also drove along the beaches at Copacabana and Ipanema. 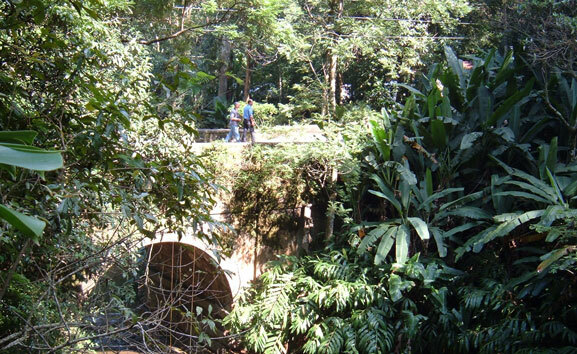 Remarkably there is a large area of preserved rain forest close to the centre of Rio. Here are waterfalls, toucans and lush greenery. 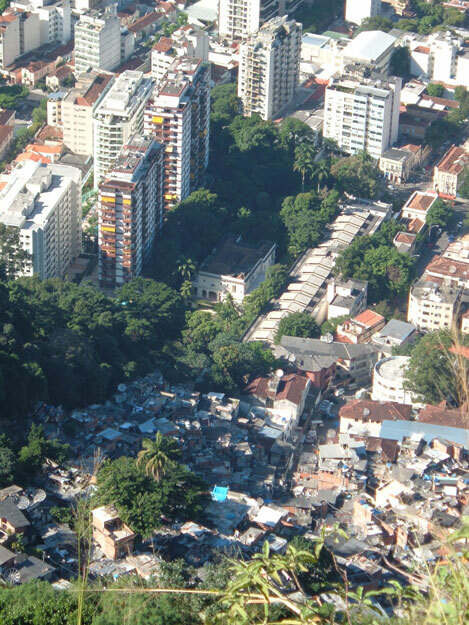 In Rio itself, as throughout Latin America, you find shanty towns of tin shacks, 'fevalas', cheek-by-jowl with blocks of luxury condos. 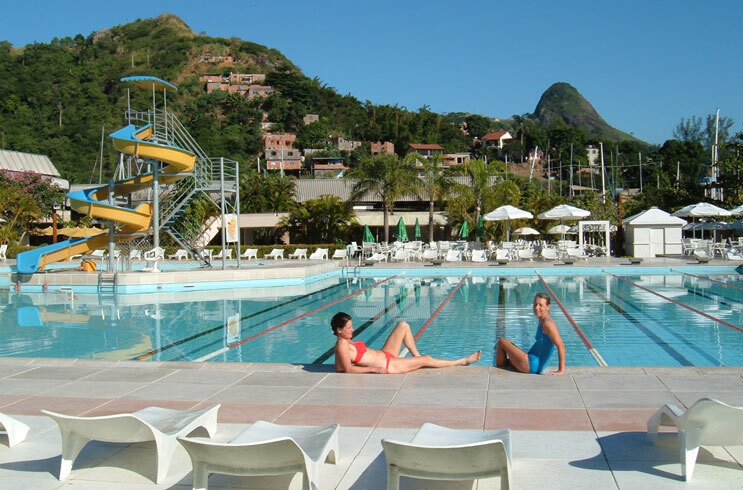 A few days of lounging around the Club pool led up to our return to the Ilha Grande area so that Inge could have some proper cruising. 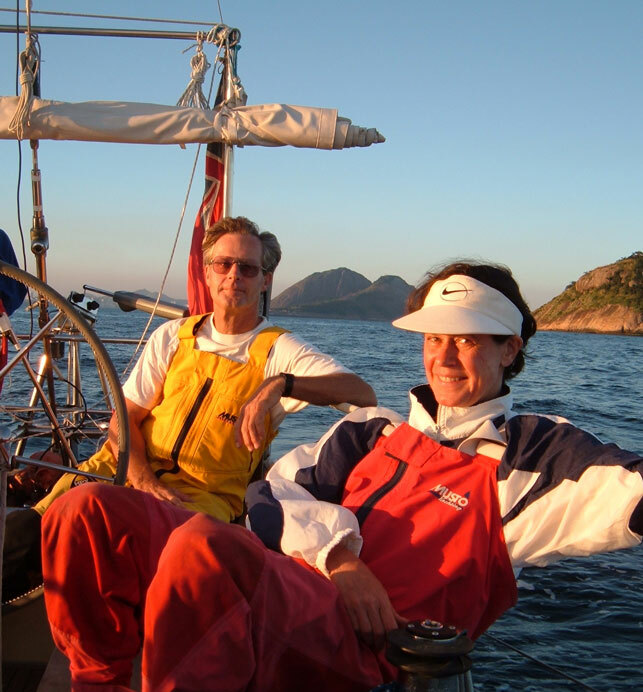 This even extended to giving her a taste of night sailing, leaving Rio with the sun setting behind Corcovado. For a city girl, used to the bright lights of New York, the splendour of a clear night sky at sea comes as something of a shock. 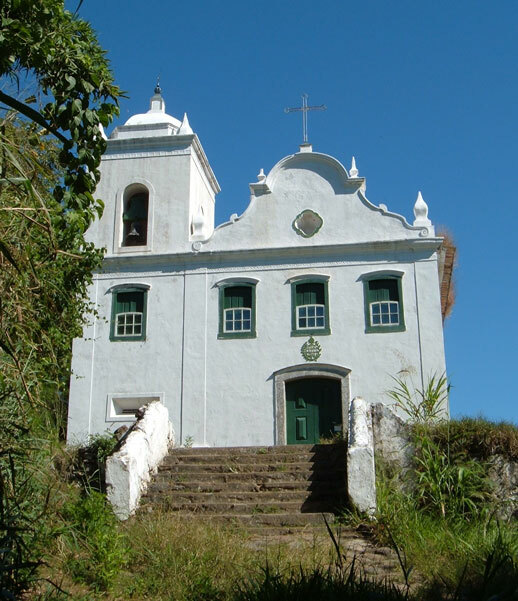 At Ilha Grande we revisited Lopez Mendez and explored another smaller isolated beach and a Portuguese colonial church. 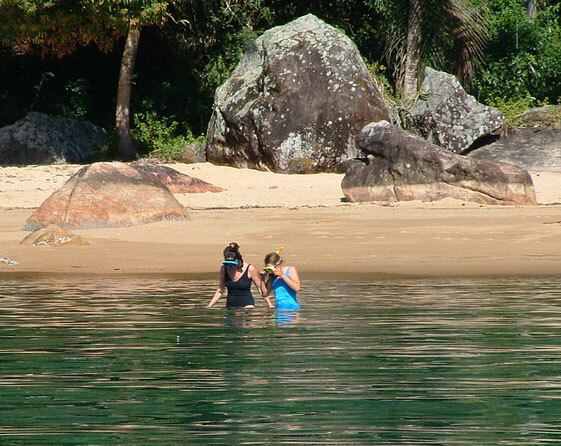 Inge had a chance to repeat her snorkelling experience from Mexico, searching with Vicky for sand dollars at Sitio Forte. 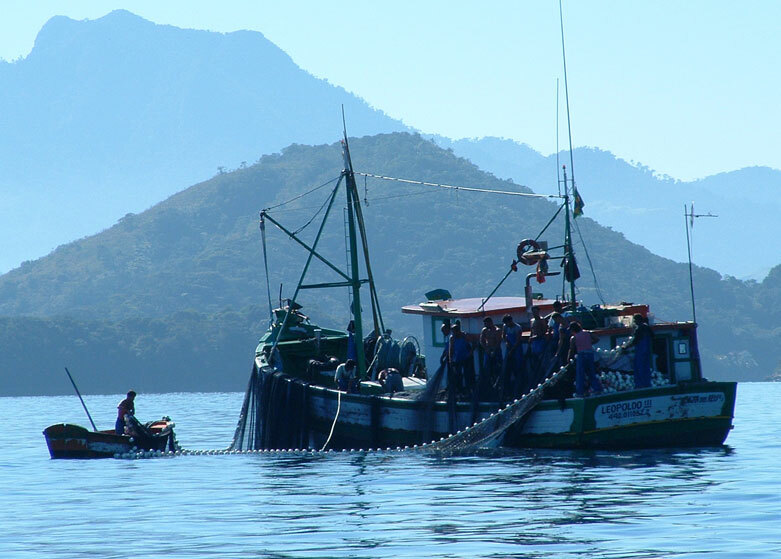 Despite the presence of so many tourists and two big ship facilities, there are also large numbers of commercial fishermen throughout the area. 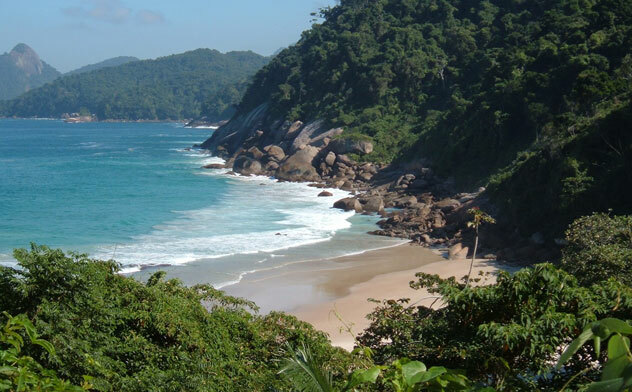 After a delightful ten days, we put Inge on a bus from Angra dos Reis back to Rio for her return flight to New York. 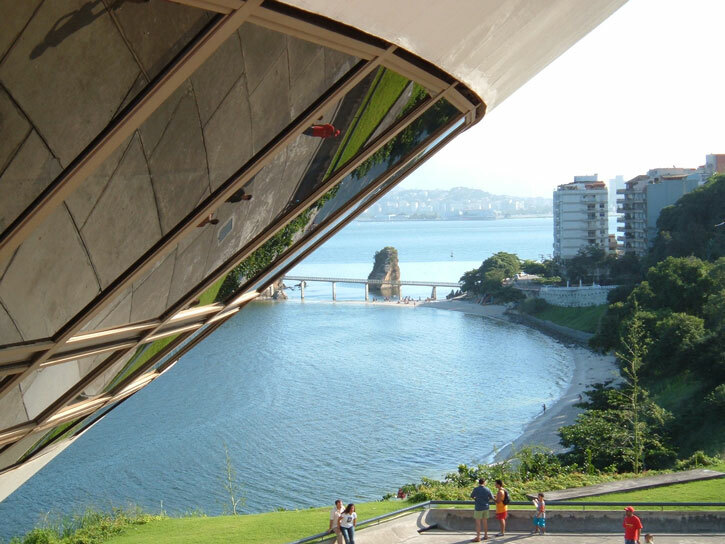 In doing so, we found out just how much Brazilian marinas charge, a stunning US$140 a night! We stayed at anchor.